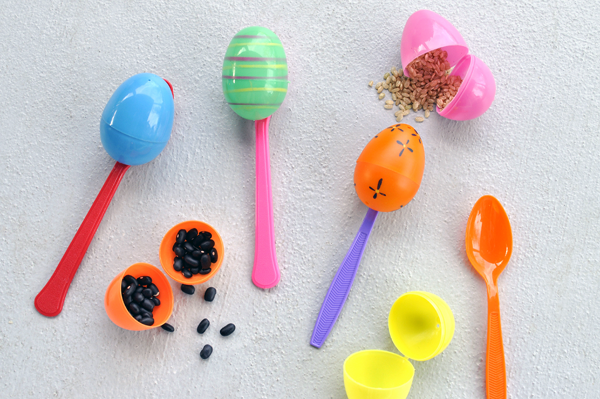 Plastic spoons and plastic eggs transform into musical shakers with only a few simple additions. Step 1. Fill eggs with dried beans or rice. Step 2. Cut a thin ribbon of painters tape and wrap it around the seam of the egg and the spoon. Step 3. Decorate with stickers.